There are always surprises at Anchorpoint. I remember my first visit was when I needed food after IKEA, and found my way opposite across the overhead bridge. There, I found a cluster of brand outlet stores, from Cotton On, G2000, Giordano, Pedro, Billabong, Capitol Optical, Typo to Charles & Keith (Ladies, are you thinking of going already?). I was happy to continue with my work-wear and stationaries shopping at more affordable prices. 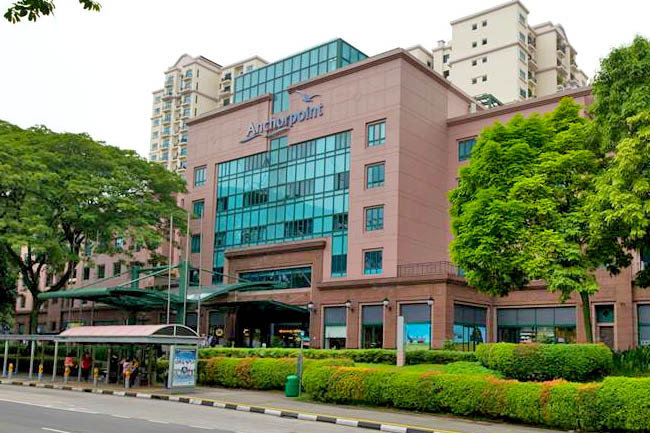 Anchorpoint is the first mall to introduce the concept of premium outlets under one roof. If you need to settle your hungry tummies, you would find a range of restaurants, cafes, fastfood, bakeries and food court within. For Japanese food lovers, you can also settle your cravings for fresh sashimi, sushi, hotpots, BBQ, delicious tarts and well-stocked Japanese snacks and health food all at Anchorpoint. This is what I would call the “Japanese One-Stop Centre”. Fish Mart Sakuraya which has been around for 27 years has a few components – A mini-mart with well-stocked groceries, seasonings and Japanese tidbits, fresh fish section, and restaurant to enjoy delicious sashimi, hand-made sushi and Japanese cuisine such as Japanese cuisine Udon and Ebi Katsu. That means you can choose your own fish from the display, and leave it to the chef for sashimi cuts. No extra charge, no additional service charge, and no GST. Sake (salmon), Hamachi (yellowtail), maguro (tuna) and otoro (fatty tuna) are some of the more popular selections amongst local customers. If you come in a bigger group, try their Sakura Sushi plate ($28.00), a big assortment plate of favourite sushi types such as tuna, amberjack, salmon, omelet and Hokkaido sweet prawn. The two things that impressed me most are the affordability and freshness. Fish is imported regularly from different regions in Japan such as Hakata. Side dishes are at $3-$5 per plate, Tempura Moriawase at $12; lunch sets of Oyako Don at $11.00 and Kurobuta Katsu Don at $15 which comes with miso soup and appetizer. 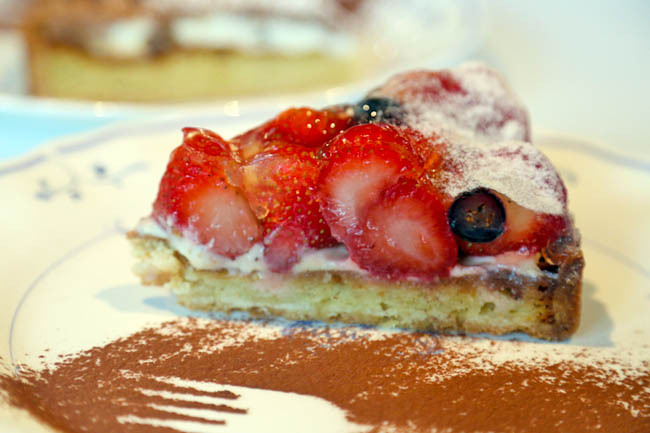 I have been a fan of Maison, known for their quality European-Japanese cuisine and gorgeous Japanese fruit tarts. Dishes such as Escargots Baked with Garlic Butter ($9.80), Tonkatsu Curry ($16.80), Mentaiko Spaghetti ($16.80) and Seafood Paella ($24.80) are customers’ favourites. My regular orders are the Hamburger Steak ($16.80) and Omu-Rice ($15.80) which comes with ketchup rice wrapped in omelette. I wanted to try something different, and didn’t regret the choice – Beef Stroganoff Butter Rice ($16.80). In fact, I went back the following day and ordered the same thing during dinner. This dish came with fragrant and rather flavourful butter rice, wrapped with moist omelette (the way I like eggs to be cooked) and sliced beef surprisingly tender yet chewy. If you wondered why the special sauce is so rich, and perhaps salty to some, it is prepared patiently for a total duration of 49 days. 49 days! 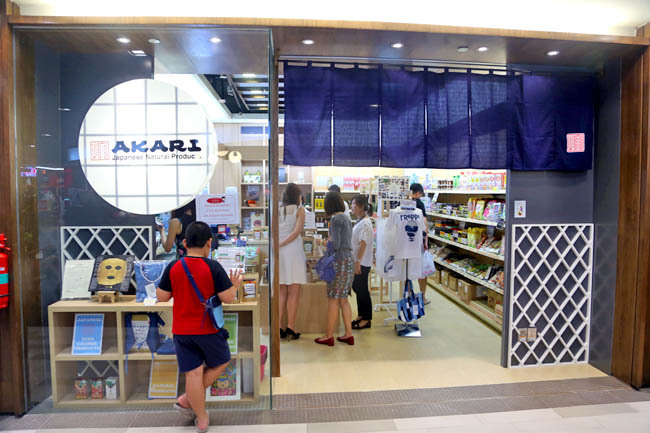 Akari is opened by two Japanese friends, who wanted to bring in natural products and organic foods from their respective home towns Miyazaki (Kyushu prefecture), and Ehime (Shikoku prefecture). This eventually became a retail store selling a wide range of products and macrobiotic foods mainly sourced directly from small enterprises in Japan. While the group of us didn’t originally intend to buy anything, we all left with something. I have been looking for a meal replacement drink, and found the Healthy Standard Green Smoothie ($39.90) thick and natural tasting (bought the banana flavoured). Many other products from pure Japanese Honey from Ehime Shikoku (loved the autumn flavour), Amino Kurozu Vinegar Drinks, Japanese Tidbits, Green Tea Powder, Kyushu 7 Grains Pancake Mix, natural indigo dyed apparels, and organic supplements such as kale and black garlic are available… It’s a Healthier Japanese Minimart. Gyu Kaku is a Japanese BBQ Restaurant is known for serving meats in various premium cuts in different marinades. Lunch sets are also pretty affordable. 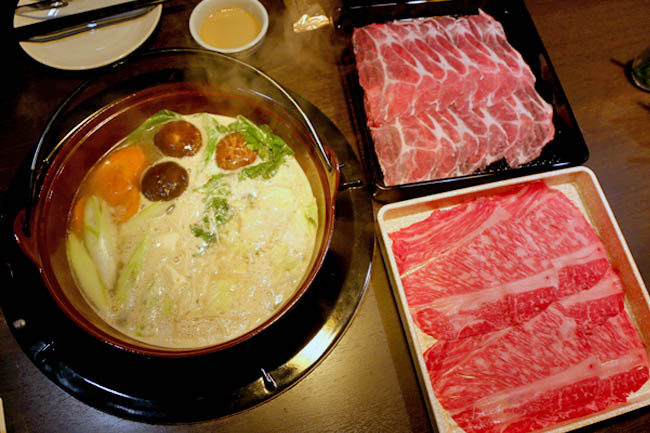 Nabehide is a Japanese hotpot restaurant (above Gyu Kaku) which prides themselves of using premium quality ingredients such as Japanese Kagoshima Wagyu along with their homemade Goma and Ponzu dipping to enjoy freshness at its best. Step 3: COMMENT below with the answer to this quiz question: Which is your favourite Japanese dish or product from Anchorpoint and WHY. *This entry is brought to you in partnership with Anchorpoint. Sashimi from fish mart sakuraya. The freshest!! I like the sashimi from fish mart sakuraya, fresh and melt in your mouth! You choose what you like from the chiller! Beet Stroganoff butter rice would be my favorite, unique dish to me. Anchorpoint is always a good place for a meal or after a meal! I liked the Escargots baked in garlic butter and the Mentaiko Spaghetti best from Ma Maison in Anchorpoint! You can never go wrong with this dish with its aromatic mixture of garlic & butter infused into the escargots! YummY! So many Japanese food and groceries. Great. Gambatte! My favourite dish is Tonkatsu Curry. According to scientific research, eating salmon can help to cure acne. Healthy Standard Green Smoothie from Akari Japanese Natural Products is my favourite Japanese product from Anchorpoint. . I tried the Green smoothie once from Akari and couldnt believe that something so healthy could be so delicious. It completely changed my perception of how greens can be delicious. I am now a firm believer in eating clean and often have meal replacements such as smoothies to supplement my daily intake of vitamins and antioxidants! IM DROOLING OMG! Jap BBQ, sashimi gosh, can you see me wiping my saliva off my mouth?! I love sashimi the most! Esp raw salmon<3 all time fav! No one can resist jap food! My favourite will be the wagyu beef from the Gyu-Kaku. Fantastic beef even with only marinated by sea salt. My fav is the grilled fish from fish mart sakuraya especially the cod and unagi! gyu kaku, love their mouth watering meats. yummy! My favourite is the Nabehide Japanese Hotpot at Gyu Kaku!!!! Japanese food is always my favourite!!! will always source for SHIOK SHIOK Japanese food!!! apart from that when having hotpot it makes me feel soooo comfortable n also the wagyu that is being serve!!! its not just satisfying craving it will also enlighten my day!!! We love the sashimi from the Fish Mart Sakuraya because they are so fresh! You can already ‘see’ the difference in the quality and freshness in their cuts. Also, we can choose what fish and how much we want to eat from the chiller – Good food cannot waste, and it’s the quality that counts. In addition, if we want the fish to be cooked, the restaurant will gladly help you do it. This is one of our favourite Japanese restaurant! LOVE THEM ALL! My family loves Jap food so I'm hoping to bring them to all the places above! i like the Akari Japanese Natural Products, Healthy Standard Green Smoothie. We can treat it as a balance meal & have a healthy lifestyle & beautiful skin while having this. Absolutely love sushis – so much knowledge that goes behind it! Saw many short films about how a good piece of sushi is made – from the rice, to getting the fish, to the seaweed and assembling it together; most importantly how to eat it – which sushis should be dipped into the soy sauce, and how it should be done. I love the sashimi from the Fish Mart Sakuraya because they are so fresh! If I want the fish to be cooked, the restaurant will gladly help you do it. It remind me of Tsukiji Fish market in Tokyo! So Japanese! I want to try the fresh sashimi at Anchorpoint! you can taste the sea-to-table freshness which were only prepared moments before serving. I can basically eat sushi and sashimi for the rest of my life! Gyu kaku's prime wagyu plate x. Am a meat lover. Didn’t know so many things now must go visit! The awesome BBQ meats at Gyu Kaku are my fav! Yummilicious!!!! This will be a lovely treat for sept baby like me! Always has a penchant for Japanese food! Yummy Japanese food, would love to try the sashimi :). I'd say the Beef Stroganoff Butter Rice from Ma Maison though the sashimi from Fish Mart Sakuraya comes in at a close second. Creamy egg omelette on top of the moist butter rice, paired with the savoury sweet beef stroganoff. What's not to like 😛 Absolutely satisfying!! 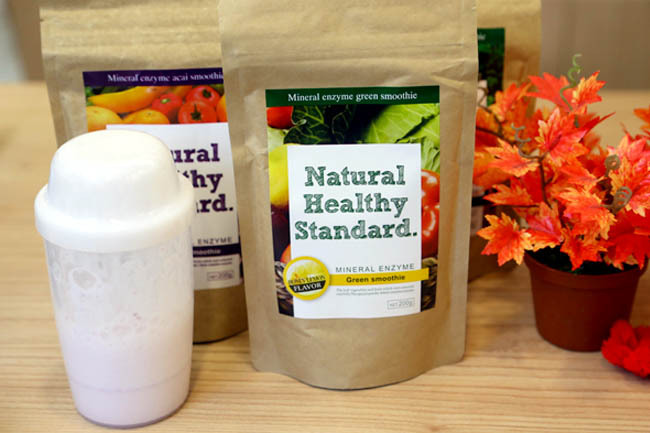 I like the Healthy Standard Green Smoothie from Akari Japanese Natural Products. I like the Honey Lemon flavour. The smoothiee drink is so easy to make, delicious and nutrious. I love my all-time favourite Omu-Rice from Ma Maison! Because I love the combination of ketchup rice and egg omelette and I just couldn’t resist eating this dish. It looks simple and yet taste heavenly to me. Fish Mart Sakuraya is my favourite! Their Sashimi are sliced with mastery n served in an artisan presentation, their intrinsic sweetness & freshness has never failed to tempt my tastebuds and i am already salivating while typing this. Combined with special shoyu soy sauce n wasabi, I can never leave the place without burning a hole in my wallet! Hopefully this time round i can win some incentives to re-indulge in this heavenly delicacy! Thanks! Fresh sashimi from Fish Mart Sakuraya!! I love Japanese food and never get sick of it at all!!! Fish Mart Sakuraya’s Sushi!! 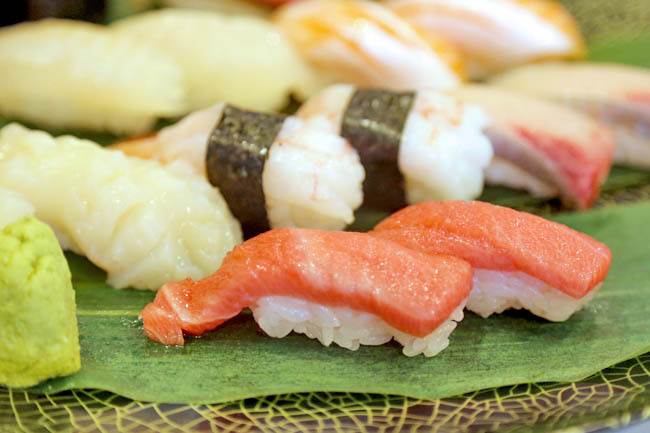 The true taste of seafood is at its finest when culinary art is back to basics and origins.Their sushi is bound to excite the most demanding of tastebuds with each bite providing a mouthful of intrinsic sweetness & tenderness. The Sashimi is so fresh, you can practically feel that it’s still swimming in your mouth! GOSH… I can never get enough of sushi..Thanks Daniel! ..
My vote goes to Fish Mart Sakuraya because I love sashimi and they have the freshest fish. Eating sashimi from Fish Mart Sakuraya reminds me with the one I had in Japan. My favourite will be Ma Maison’s Curry Omu Rice because the egg is so omg fragrant and soft.. and when accompanied with the slightly sweetish curry… my ultimate comfort food! My favourite is Gyu-Kaku. Their Japanese BBQ is the best. Love their fresh pork and beef. The service also very attentive. Always have great dining experience there. Definitely the fresh sashimi from sukuraya fish market ( specifically otoro) . What is better than eating fresh, melt-in-your-mouth fatty tuna at wallet-friendly prices, yet also get to buy heavily discounted branded apparels, all right in the same shopping centre. Whats more, its right beside Ikea! 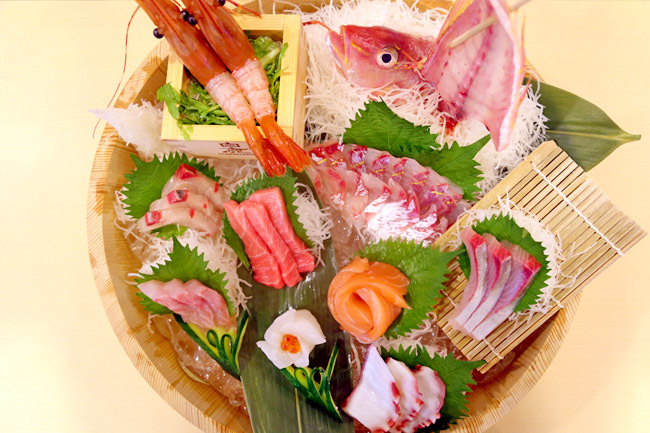 the sashimi from Fish Mart Sakuraya – especially otoro! the freshness of the sashimi, which is lacking in so many restaurants in Singapore, reminds me of my trip to Tsukiji Market. My favourite is the Nabehide Japanese Hotpot Dining because the ingredients are fresh and the dips complement the meats well too! Fish Mart Sakuraya. The sashimi is really fresh and the prices are decent too. I love Akari at Anchorpoint, they carry really special Japanese products that you can find elsewhere. This include items such as Sakura Salt, Vegetable Powders etc. My favourite has to be the vegetable powders~~ they can be use in cooking, bread and even bento! Fish Mart Sakuraya’s salmon Sashimi n sushi! My fav would be the omu rice at ma Masion ! Yummy! Love sashimi and jap hotpot! I love Fish Mart Sakuraya’s Ikura and Salmon Sashimi. LOVE LOVE LOVE the quality meat served! The friendly staff ambience..! Fish Mart Sakuraya. The sashimi is really fresh and value for money! My favourite dish is the omu rice, I love the egg and curry sauce. Ma Maison is one of my favourite Japanese restaurant and finally there is one such brand opened at Anchorpoint!!! Kurobuta Katsu Don! It’s one of my favourite Japanese dish. Yummlicious! In response to your question, my favourite Japanese dish from Anchorpoint is definitely the Beef Stroganoff Butter Rice from Ma Maison. I’m the fussiest eater around and I don’t eat beef because I don’t like the taste/smell but I finally tried it cause it smelt so good (my friend ordered it). That’s the ONLY beef product I eat and I now order it at Ma Maison every time I’m there. That says a lot about how good the dish is cause I am such a picky eater. Have a good day Daniel! I love the soba noodles and salmon and tuna sashimi at Sakuraya fish mart. My son loves their chicken karaage and upon noodles too! Fish Mart Sakuraya.bought some Japanese tidbits for my son.Something extra to try than the normal potato chips or prawn crackers. my favourite has to be fish mart sakuraya's sashimi!!! the freshest in singapore! Especially the scallop sashimi! the teriyaki chicken there is also a must-try!! My favorite will be nabehide Japanese hotpot due to its savory soup base slowly brewing above the charcoal fire, as you eat, the broth gets richer and richer with the essence of the ingredients (such as meat and assorted mushrooms) you added in and the charcoal fire will locked in those essence in the soup. My favorite sauce is the goma sauce as it provides a hint of sesame which is not too strong to steal the limelight of the meat but accentuate its flavour. Moreover, the breaded oysters is a must-try for a crispy outer and after you bite, the oyster richness will burst into flavour inside your whole mouth. My favourite is seafood paella from Ma Maison! I love seafood!! The rice is well flavoured and the seafood is fresh! Yummy yummy! I really want some of that Japanese goodness! Sashimi from Fish Mart Sakuraya because they are fresh. My favourite is the hamburger with omu rice at Ma Maison but all japanese food I love cos it always brings back great memories! Gyu kaku's prime wagyu plate is the best! Super Yummy! Absolutely love fish mart sakuraya’s sashimi…very fresh! My favorite Sashimi from Fish Mart Sakuraya!! Will explore more of Anchorpoint~ So many hidden gems I've missed out! My favourite dish is the Sake Sashimi from Fish Mart Sakuraya. The sashimi is as fresh as you can get, as if you were in Japan! Sanma Fry with Wafu Tartar Sauce and Grilled Pacific Saury with Teriyaki Sauce from Fish Mart Sakuraya. Cooked to perfection on the outside while locking in the intense freshness inside! Love it to the last bite! I <3 the Teriyaki chicken at Fish Mart there because the chicken is tender, flavourful and tasty, with the specially made sauce that goes very well with the chicken! Fish Mart Sakuraya! Fresh fish, best tasting sushi, consistent quality and cozy feeling. Favourite dish is the Kaisen Sakura Maki from Sakuraya. It's mixed of savourty and sweet is simply amazing. Liked and shared! My favourite is definitely the Omu-Rice from Ma Maison, because it is so creamy and comforting! My favourite Japanese food is Yaki-tori with Shochu! Yum! Whoop to japanese makan!! been craving for sashimi so its an easy choice of "Fish Mart Sakuraya" … for now. Hehe! onward to "Gyu-Kaku" for my next visit to Anchorpoint for yummy meeeeat! Fresh sashimi from Fish Mart Sakuraya @ wallet friendly prices! Our fav fish mart Sakura and the value for money salmon sashimi! I love the Tonkatsu Curry Don from Ma Maison because Japanese curry is extremely different from the normal curry that we are familiar with. the curry is a little sweet and not that spicy but when it is poured over Japanese rice. the flavor and the texture is just wonderful. and did you know this dish was actually thought of during wartime. I marvel at how people think of so humbling yet delicious food! my fav is sashimi at sakura! I like the European-Japanese fusion cuisine, especially from Ma Maison! My favourite has to be the Tonkatsu Curry from Ma Maison because I like Japanese Curry amongst all the Japanese food offerings. The food at the japanese restaurant at anchor point is super fresh and staff are friendly too ! 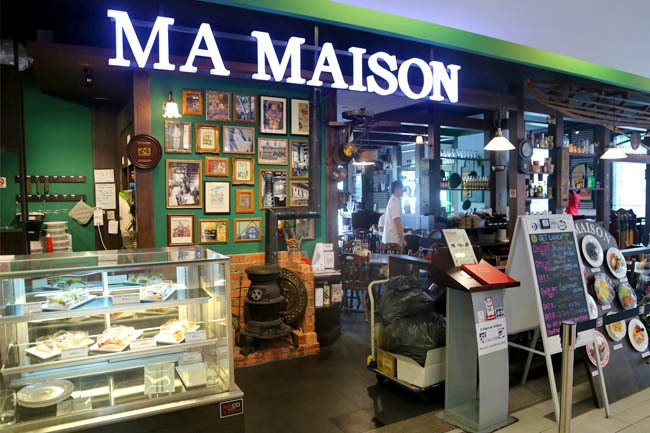 Ma Maison is no doubt my go to place for comfort food. No matter what i order, its always min of 8/10. Never disappoint! Yakiniku featuring premium beef cuts from Gyu-Kaku has to be my favourite Japanese meal at Anchorpoint. The marbled meats are utterly delicious and the experience is fuss-free and fun, especially with friends and family. Ma Maison tonkatsu curry ; it nv failed !!! Never tried any of those mentioned above but after reading this post I would definitely make it a point to go down to try all of them! Fruit tarts from ma masion is my favourite missed them so much after they pulled out from milenia walk! Fish Mart Sakuraya! Fresh fish!! loves the Kaisen Sakura Maki from Sakuraya as it is mixed of savourty and sweet. Wonderful! I am torn between Gyu-Kaku and Fish Mart Sakuraya as both are just as superb in their own ways.. But my all-time favourite had to be the fresh sashimi from the Fish Mart Sakuraya as the quality is the closest I can get to as compared to the sashimi I had at Tsukiji Fish Market with my husband during our honeymoon in Tokyo! My favourite Japanese product from Anchorpoint is traditional shirts by Level indigo sold at Akari Japanese Natural Products as the shirts are simple yet classy. My favourite Japanese dish is Mentaiko Spaghetti and their dessert Japanese Fruit Tarts at Ma Maison because I like the mixture of Western & Japanese cooking style and it's give a special yet unique food culture to us. Healthy Standard Green Smoothie because it’s healthy and delicious and I am on a diet. My favourite has always been their fresh sashimi salmon & marugo from Fish Mart Sakuraya! I know its weird, but because of it's freshness, I always eat with a bowl of Japanese rice. Just like that!!! The best thing is no GST & Service Charge!! 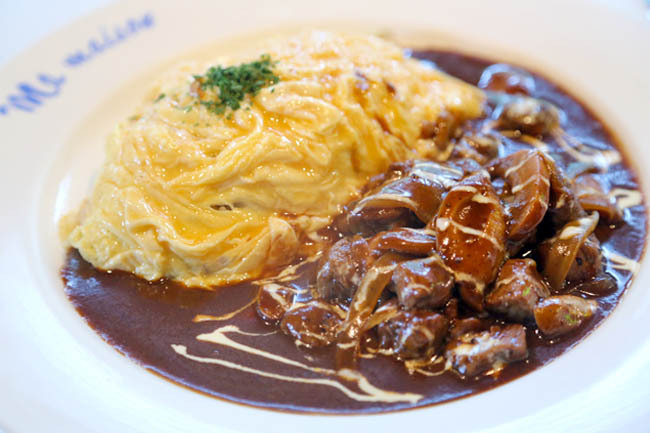 The Beef Stroganoff Butter Rice from Ma Maison looks sooooooo tantalising, especially the omelette, looks so flavourful! And how long did ya said the sauce was prepared? 49 days? Gosh!!! I must try this!! Fish Mart Sakuraya where I can eat all the hand made sushi i want! salmon and swordfish sashimi my fave! 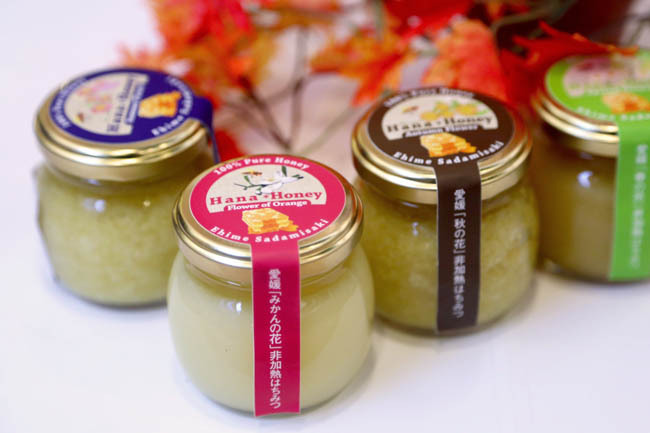 I love Japanese Honey, and Ehime's Hana Honey certainly appeals to me! I have not tried these honey from Ehime, but I did tried a very wide range of honey while holidaying in Karuizawa, Nagano, stucking in the honey store like Winnie the Pooh for almost an hour to try out all their varieties, and eventually felt too embarrassed to leave empty-handed, so I bought a small bottle. Gosh, it was expensive, but the taste was absolutely exquisite! Ehime is very famous for fruit produces such as mikan, and I'm sure their honey will be equally impressive. It is definitely a blessing to have good Japanese food in the Alexandra area and for my family and I, we always patronised Fish Mart Sakuraya to enjoy fresh sashimi platter like sake, hamachi, maguro and otoro. We love it as we can get to select from the display and get the chef to cut for us. So, the sashimi will be so fresh that once you bite it, it just melts in the mouth! 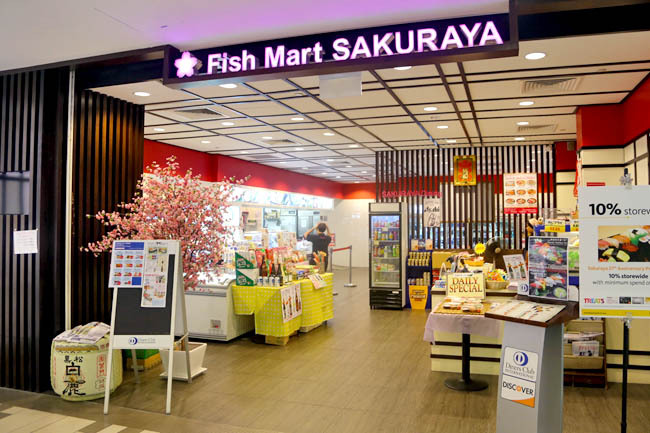 My favourite Japanese food from Anchorpoint is none other than Fish Mart Sakuraya! I always patronise this restaurant at Parkway, so when I’m in the area, I will pester my dad to bring us here for food too! I like that we can choose our own sashimi so we can choose the size we want. I also like that they sell a variety of fresh Japanese products so I don’t have to go all the way to Meidiya in Liang Court when I need ingredients for my dad’s Sukiyaki and Shabu Shabu hotpots. All types of Sashimi and Sushi from fish mart sakuraya! Charashi Don! I always love eating sashimi and rice. With Charashi Don, it fulfills both my wishes! My favourite dish is the omu rice from Ma Maison, it's a great comfort food, and so well balanced in taste! My family and I like the Japanese Tidbits from Fish Mart Sakuraya. 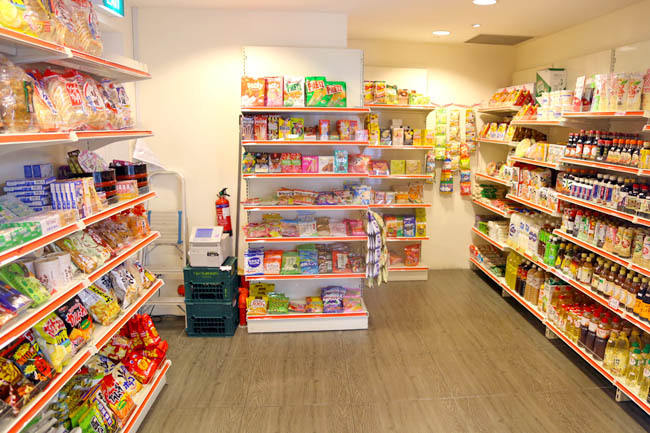 There are some special products not available in other retail stores. The tidbits are tasty and the prices are reasonable. Ma Maison. I love their hamburger steak which I love from the first time I ate it in their outlet in bugis junction. Always had wanted to try others on the menu but somehow I will end up ordering it again….it is like a drug!!! 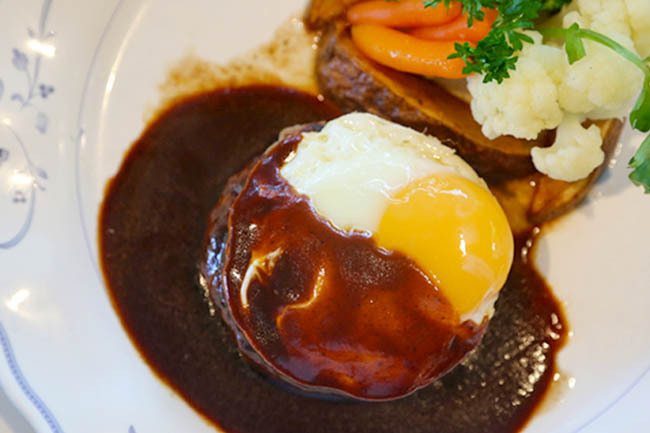 My favourite food is omu rice and hamburger steak from Ma Maison as they are simply irresistible and love the soft tender steak. My favourite Japanese dish is the Nabehide Japanese Hotpot at Gyu Kaku because I love hotpot. The Fresh Sashimi from Fish Mart Sakuraya is my favourite Japanese dish from Anchorpoint as it is well priced and fresh, as well as, and I have been to that outlet for very long time. I love the Sashimi from fish mart sakuraya. My favorite will be Salmon Sashimi from Fish Mart Sakuraya The salmon cut is perfect and when I dip the salmon into my favorite mixture condiment (wasabi & shoyu), I can really taste the sweet flavour coming from the salmon. I absolutely love the silky texture and the sweet, milky aroma of the salmon. This is definitely the “must try” at the Fish Mart Sakuraya! Affordable and fresh, highly recommended!! I love the Matcha ice cream from Gyu-Kaku. The ice cream is smooth, with a good balance of green tea and sweetness. Of course their Wagyu Beef is simply irresistible, the level of sweetness and tenderness is awesome! LOVE the beef stroganoff at Ma Maison @Anchorpoint. The butter rice is wrapped up with egg omelette. Tender sliced beef cooked in their special brown sauce is a perfect match with the fragrant butter rice. The butter rice is as good even when eaten on its own too! Thumb UP! My favourite Japanese product from Anchorpoint is the Japanese tidbits at Fish Mart Sakuraya. These are my favorite snacks when I watch TV at home. Other than the tidbits, I'm also a fan of their groceries, seasonings and fresh sushi! The tonkatsu set from Ma Maison is my personel favourite! It comes with a miso soup, rice and salad and I especially love the potato salad because of the sesame dressing! 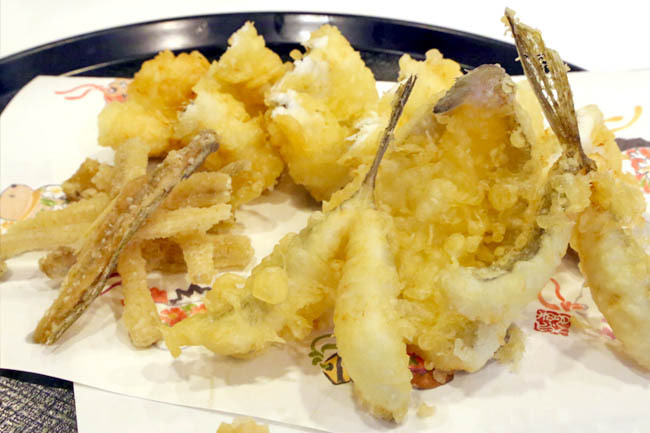 The tontaktsu is good as it is not oily and it is super crispy. You cant taste any batter at all and it is super tender. I love all types of Japanese food. The sashimi from Fish Mart Sakuraya is especially fresh sweet!! Simply melts in your mouth; amazing!! My favorite is Gyu-Kaku's Japanese BBQ. Escargot at Ma Maison! Uncommon and delicious. I like the Japanese Honey from Ehime Shikoku because it has health benefits and is suitable for me to consume everyday. Sashimi and hand-made sushi from Fish Mart Sakuraya because they are always fresh and delicious no matter what time of the day I go. Their service is good too! My favourite is omu rice from Ma Maison. though i've never tried the restaurant's dish before, the egg layers made me feel like an excited kid unwrapping my present, and the fragrance of the rice(when I tried it from another store) makes me feel like eating it over and over again..
Hi all, thank you for your participation and for the overwhelming responses! Congratulations to the winners! The winners will be receiving a Facebook private message or email this week for the next steps to claim their prizes.